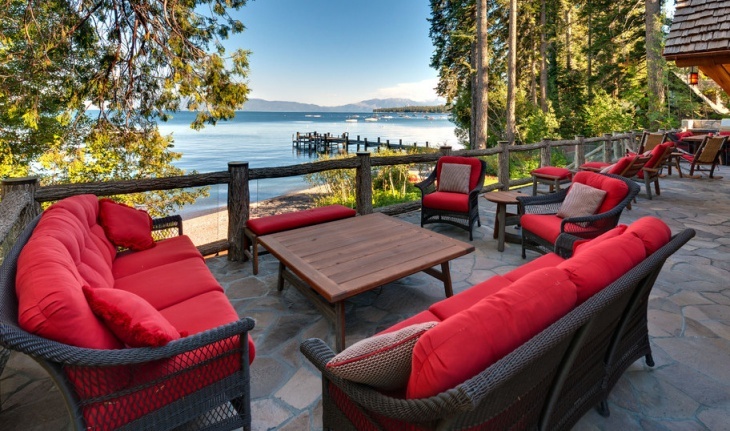 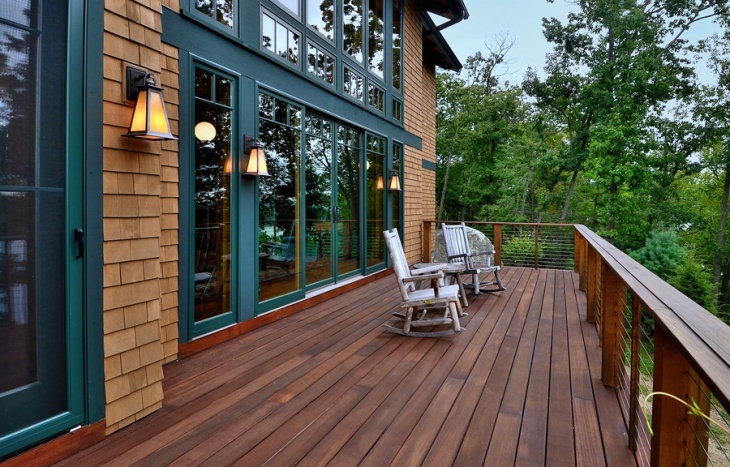 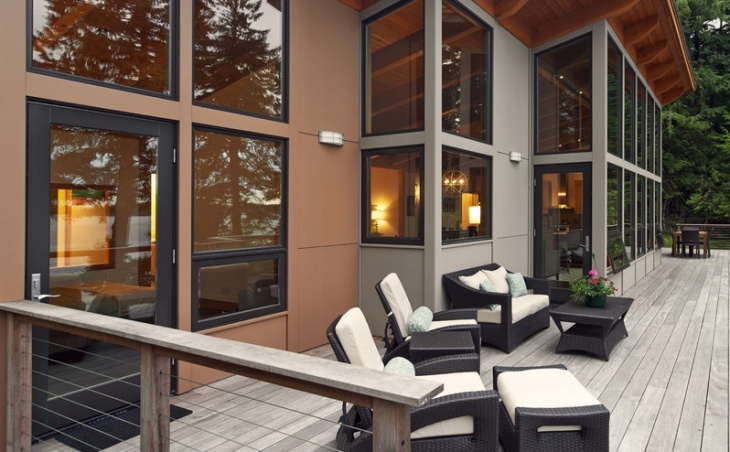 If your residence is near a lake or have swimming pool, use Cedar or Redwood material to get pressure treated affordable living space. 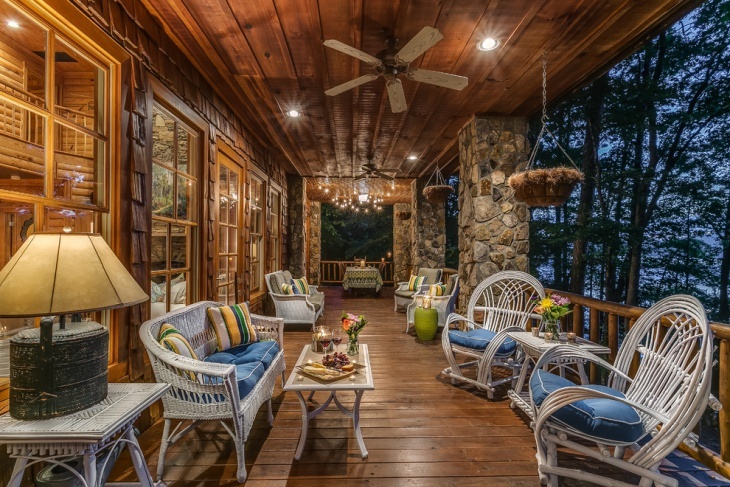 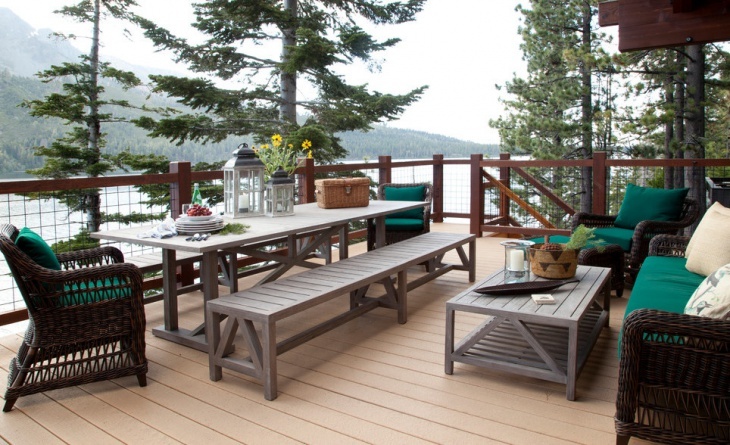 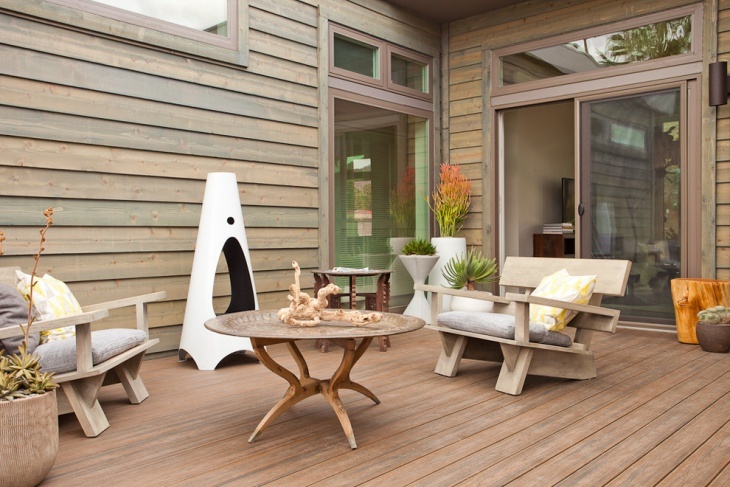 Use of paper lantern, candles, wooden chairs and comfy couches can make the deck picture-perfect. 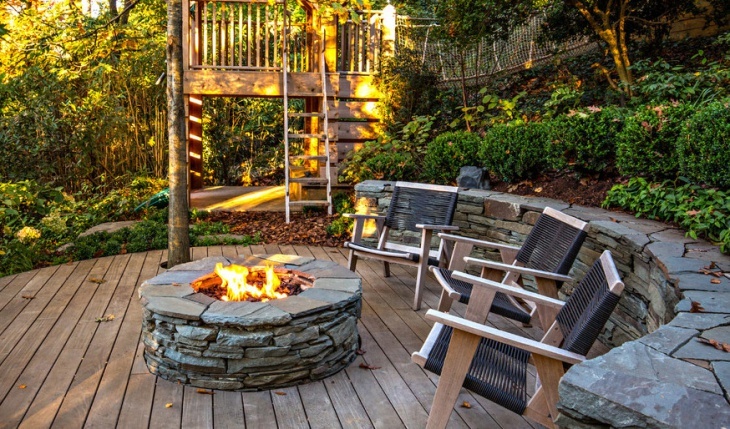 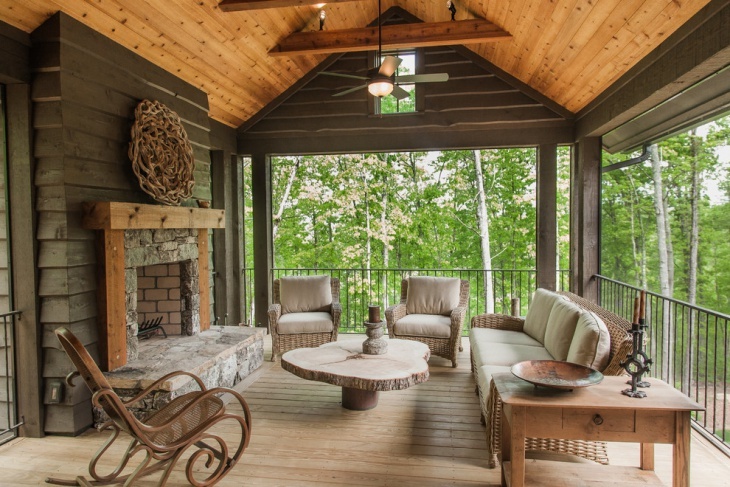 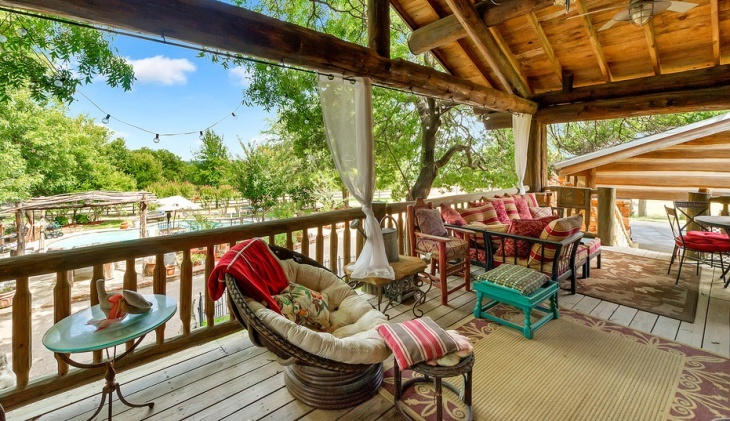 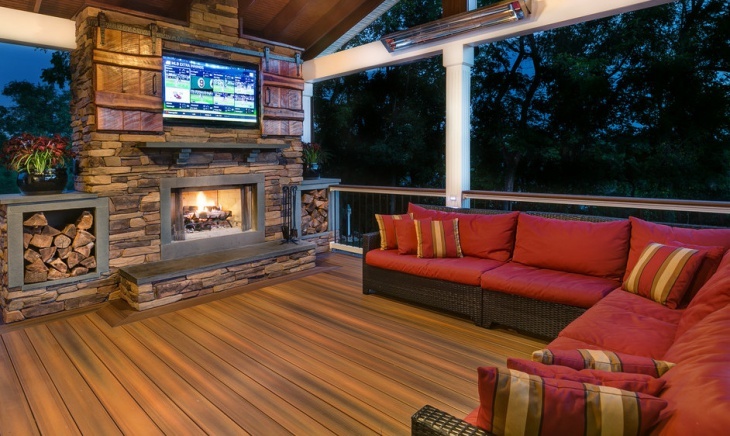 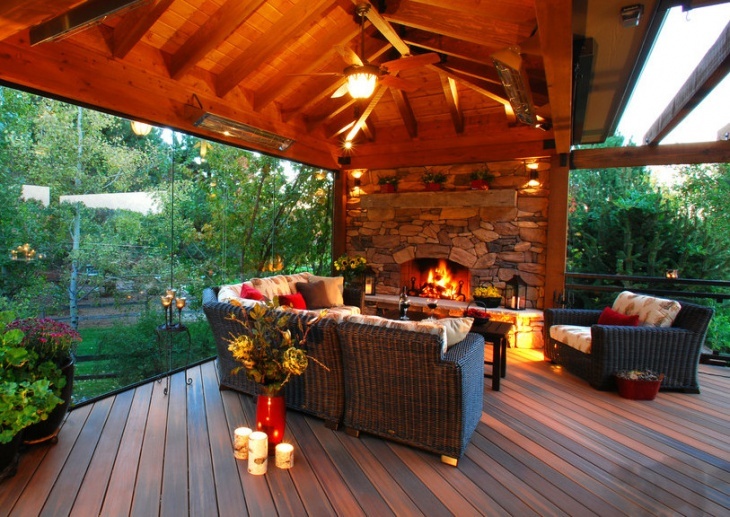 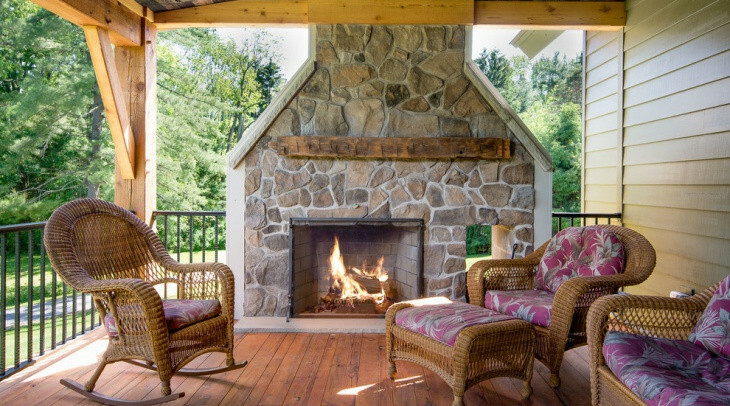 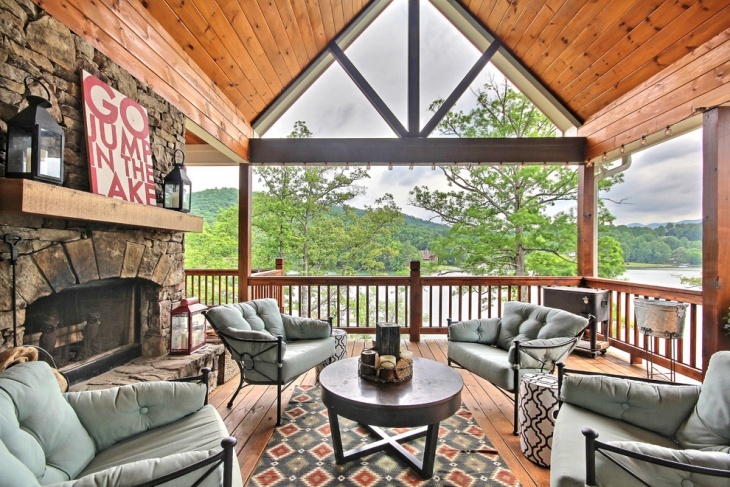 Stone fireplace and plush décor is perfect to enjoy cold winter in magical deck area. 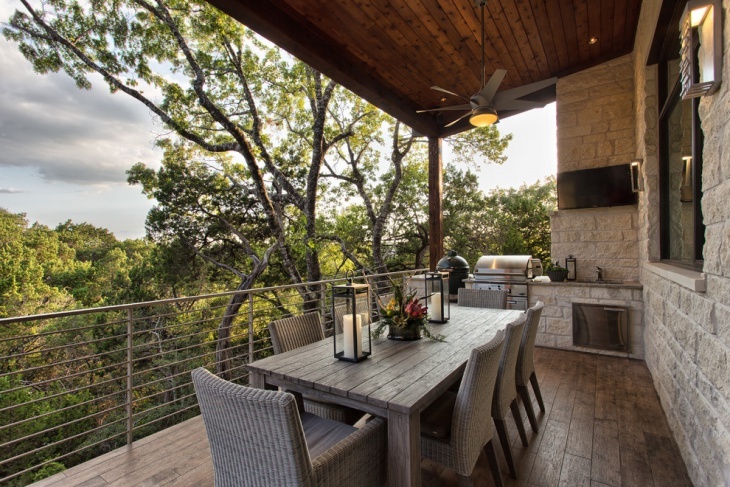 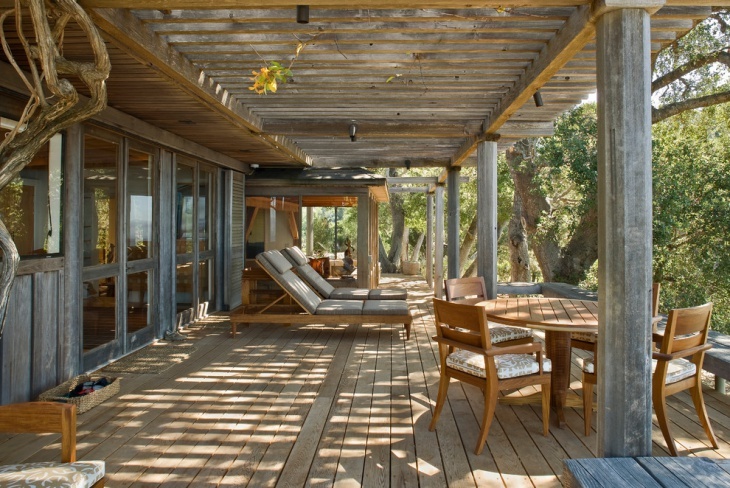 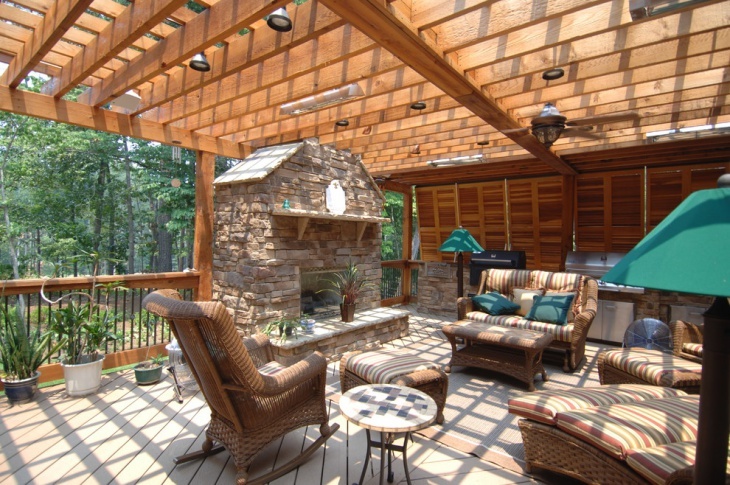 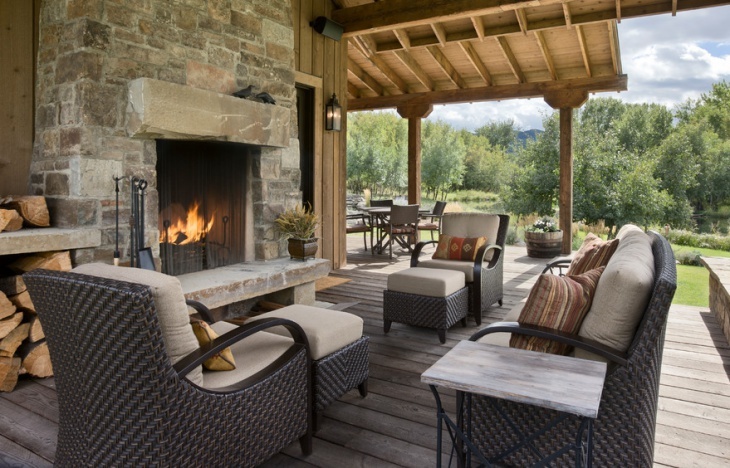 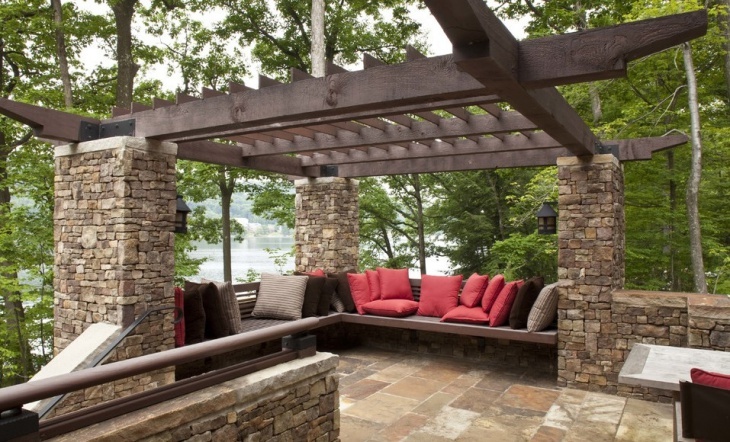 Pergola style with low rails and stone columns deck is best for mountain lifestyle.